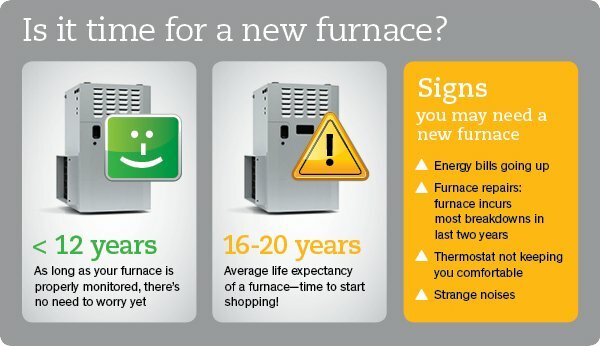 w E Climate Systems offers several brands of Gas Furnace systems , Forced Air and Hydronic (hotwater) Dual Fuel and Hybrid systems. 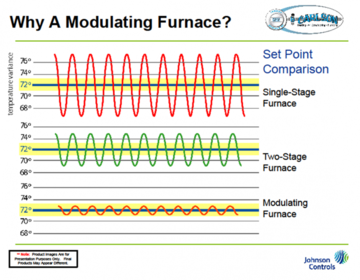 Gas systems are rated by efficiency . 80 AFUE is 80 percent efficient meaning only 20 percent of your money evaporates out of the exhaust stack during normal operation. 97 percent AFUE means only 3 % of your money is going out of the exhaust stack. Forced air systems can become dangerous with cracks and leaks in the Heat Exchanger or from damaged or poorly designed exhaust ventilation. It is important to have the system checked for Carbon Monoxide Leaks each heating Season. Installation of an Carbon Monoxide Alarm is an important device that will alert you when the deadly gas is in your living and sleeping areas . No amount of Carbon Monoxide is an acceptible amount. Carbon Monoxide is an odorless and invisible poison. 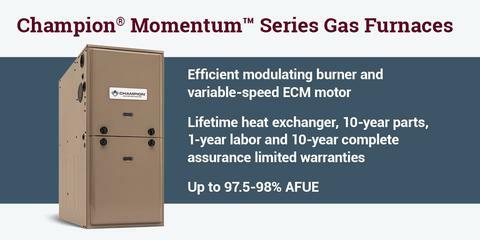 2017 Consumer Digest's best buy rating Champion Momentum Series 98% AFUE Furnace with Modulating Gas consumption and Variable Speed ECM motor. In combination with a high efficiency Air conditioning system. The Momentum offers the most efficient and comfortable heating and cooling. 10 Year Parts replacement warranty. and 5 Year whole unit replacement warranty. Combined with a 10 year extended manufacturer labor warranty, Champion Momentum Series offers the best value and warranty in the industry.